Find out how to improve ratings given by hotel guests! What is the best way to attract guests to your hotel? Heavy advertising in online booking portals? No doubt about it. Perfect quality of your rooms? Definitely. Good customer service? Highly recommended! However, only the combination of these features gives you the most important result – positive reviews shared with other people. Many of us consider friends` and relatives` opinions as the most influential and thus it should be your number one priority. How to achieve that? Apart from maintaining a high standard of your services, it`s worth building a good relation with your customer. Building a relation with customer should be started before he even arrives at the reception. To begin with, send a message in which you remind your guest about his reservation and express your joy that you will be able to meet him in person soon. In the end of such message include a signature of receptionist that will welcome guest at the reception. It will help break the ice during your first meeting. You may also attach a map and directions leading to your hotel. The visitor will appreciate the fact he knows the way, instead of looking it up on the Internet. That`s another point added to your score! Once you`ve broken the ice and escorted your guest to his dream room, it`s time for part 2 of your perfect review plan. Send a message listing the most fasctinating points of interest in your area or send a text message with discount code to your hotel bar. 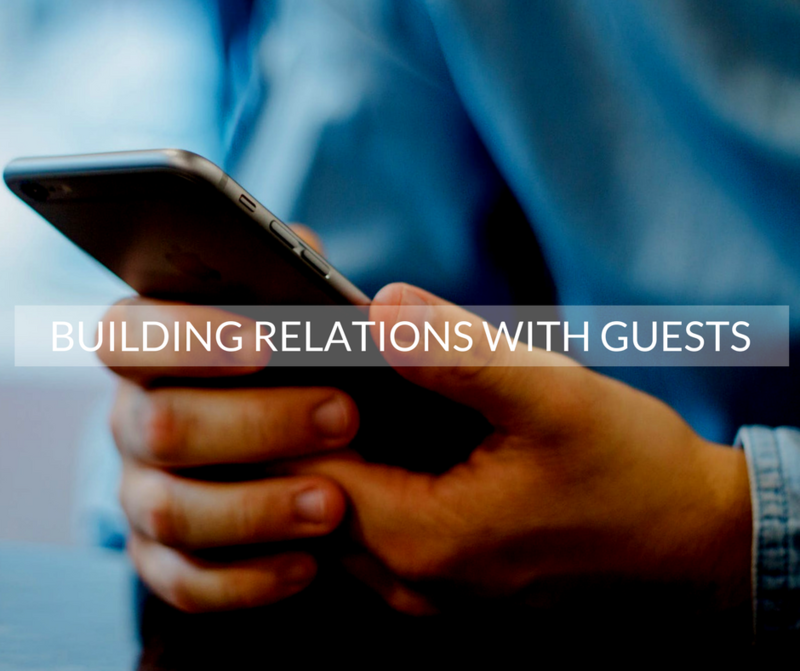 If your guest does not intend to leave the hotel, send him an email presenting the most engaging attractions in your facility. Perhaps, encouraged by the opportunity to try local cuisine, he decides to visit your hotel restaurant? All`s well that ends well. Staying in a hotel is no exception. It`s worth sending a message in which you express the hope that the stay was very pleasant. Also remind your guest the time of check out and where he may return the keys. You may also send a proposal to extend the reservation with a pleasing discount. Certainly you will encounter people who appreciate such gestures and will happily stay with you for longer. When a satisfied guest leaves your hotel, you still have the opportunity to act. Send him an email, thanking for the stay and hoping you shall meet again in the future. If the reservation was made through an online portal such as Booking.com, it is worth asking the guest to leave an opinion on the given portal. This will allow you to raise the position of your hotel in the ranking, greatly increasing the chance for subsequent reservations. How to achieve such level of communication? If the above examples have proved you the importance of remaining in constant touch with your guest, the obvious question becomes “How”. KWHotel 0.47 version includes a dedicated module of automated emails and text messages. You may prepare different templates and apply numerous criteria to them (room group, time of stay, reservation source etc.). Email`s content can be freely modified thanks to the built-in FastReport program. The created templates can be automatically sent to clients. The SMS notifications work in a similar fashion. Only an SMS API account is required and a purchased synchronization module for KWHotel. If you enjoyed my article and would like to learn additional ways of improving your hotel ratings, let me know in the comments! KWHotel 0.47 version is available by contacting our Support Team at support@kwhotel.com.